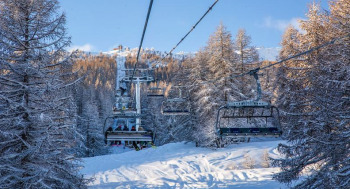 Elevated between 4593 ft and 8858 ft, the Ski Resort is among the 10 highest elevated Ski Resorts in Provence-Alpes-Côte d’Azur. The vertical drop from summit to base is 4265 ft. The average difference in altitude between base and summit of Ski Resorts in France is 2848 ft. Most runs are therefore relatively long. Average snow depth during the season (Dec 15 to Apr 22) is 43 " at summit elevation and 27 " at base elevation. Snow coverage is usually best during February, offering an average snow depth of 55 " at summit elevation and 37 " at the base. Therefore Puy St Vincent is among the 5 ski Resorts with best snow conditions in Provence-Alpes-Côte d’Azur. 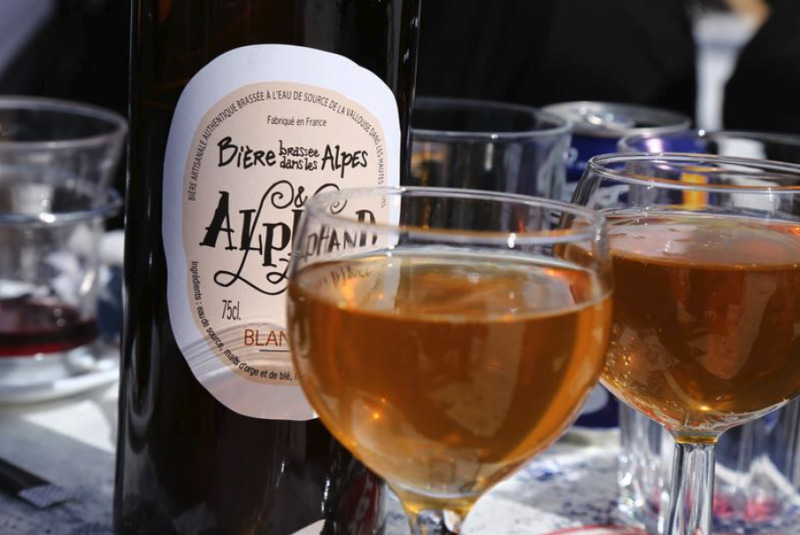 Puy St Vincent features 90 sunny days on average per season. The average for all ski Resorts in France is 74 sunny days. January is the sunniest month with an average of 24 sunny days. Puy Saint-Vincent lies amidst the national park Les Écrins and offers 75 km (47 mi) of ski trails for all lovers of snow sports. Due to its location in the French Maritime Alps the surrounding peaks are in a wind protected area and offer excellent snow conditions. All visitors can chose from a range of 31 runways that are suitable for all levels of experience in a varied landscape setting. Being here one will experience the delight of having an imposing panorama view on the surrounding mountains. 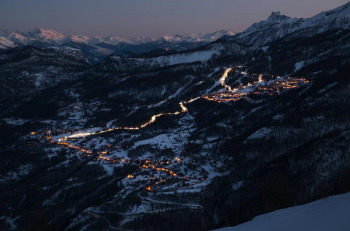 On Tuesdays and Thursdays, there is the possibility to use the 750 m (820 yd) long Ecureuil ski-run at night, too. For children there are numerous possibilities of daily care provided and some slopes they can practice their skiing skills on. 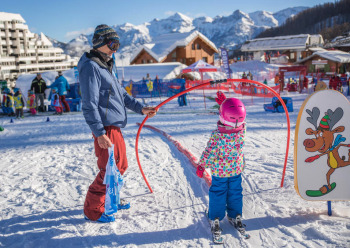 Puy Saint-Vincent has also been awarded a family-friendly skiing area. All snowboarders can additionally have some fun in the snow park, where they can practice their skills on halfpipes, slides and jumps. 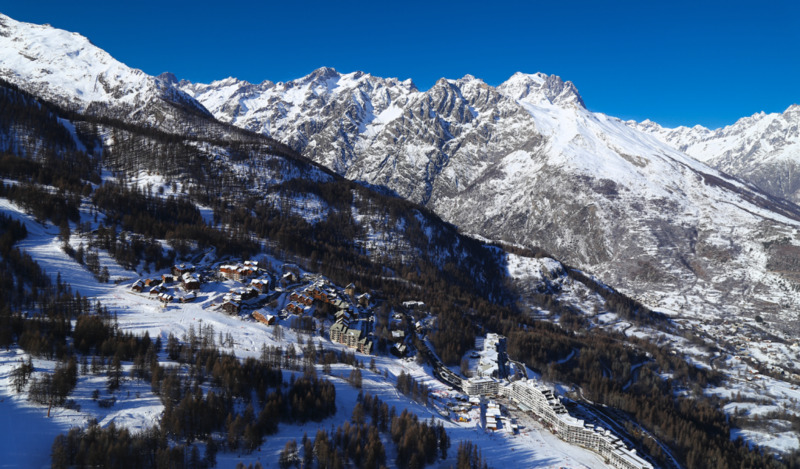 (1400 m-2700 m): 78 km of tree-lined slopes with a 360° view of the Écrins’ most beautiful peaks overlooking the resort. 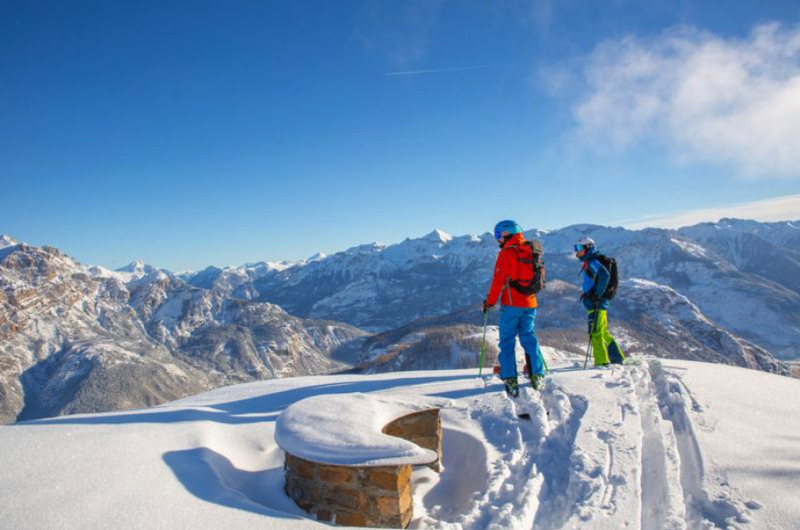 Its position (staggered across three levels of altitude) and its exposition are a guarantee of quality skiing conditions with natural snow cover late into the season. Puy Saint Vincent also has a Nordic zone and vast expanses for ski touring. 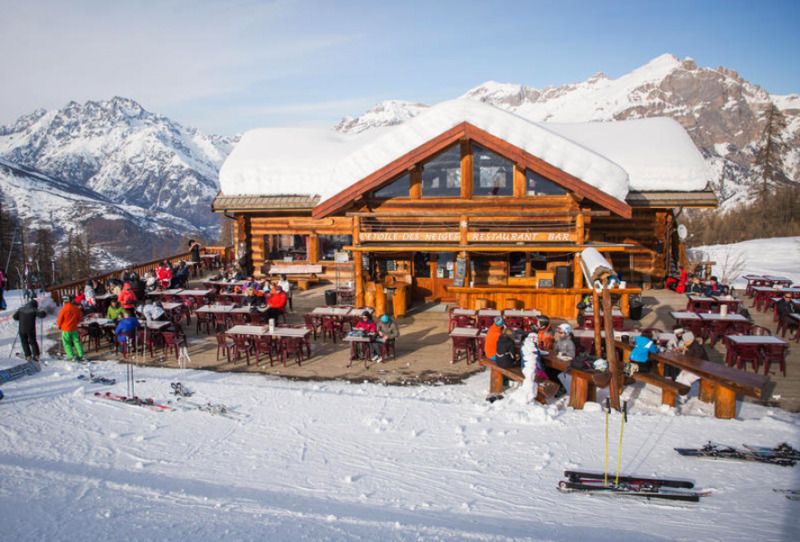 OPERATION SUNRISE Every Sunday, from 31/03 to 22/04, activities and ski area open from 7:30 am. A different theme every Sunday: lifts reserved for MTB, giant slalom, Pure Vintage Ski, etc. There’s something for everyone! 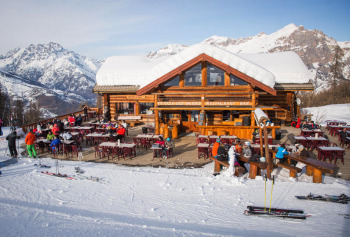 You will find 2 restaurants in the slopes to enjoy you day! Local specialities and relaxing time will be for you! Specialised activity instructors greet you throughout the season and inform, advise and assist you. Ski touring is one of the Pays des Écrins’ showcase disciplines. The area offers intense elevations and slopes for expert skiers. 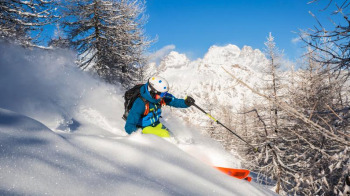 There are also technically accessible routes making it easy to discover this form of skiing. 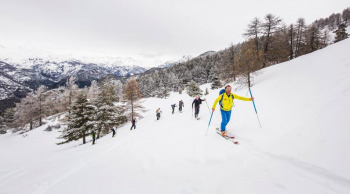 Off the beaten tracks, using skis fitted with skins, a different, more natural and authentic mountain environment is revealed. It is more athletic and intense than snowshoeing and is therefore a delight for those who like to push their limits in a natural environment, even in spring, guaranteeing an outing that combines tranquillity, sport and nature awareness. The Pays des Écrins is one of Europe’s most spectacular ice-climbing destinations. There are more than 300 ice falls across the sector (Les Claux, in Pelvoux, L’Argentière-la-Bessée). With the onset of winter, the deepest valleys turn into ‘ice galleries’. A simple trip to the Fournel or Freissinières valley is enough to take in the magnificent falls that can be up to 600 m high. 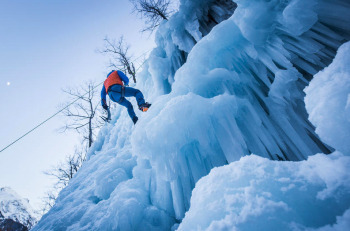 Derived from this activity, ruisseling is more accessible and uses simple equipment, such as crampons and a harness, in order to explore unique settings where nature is set in ice. 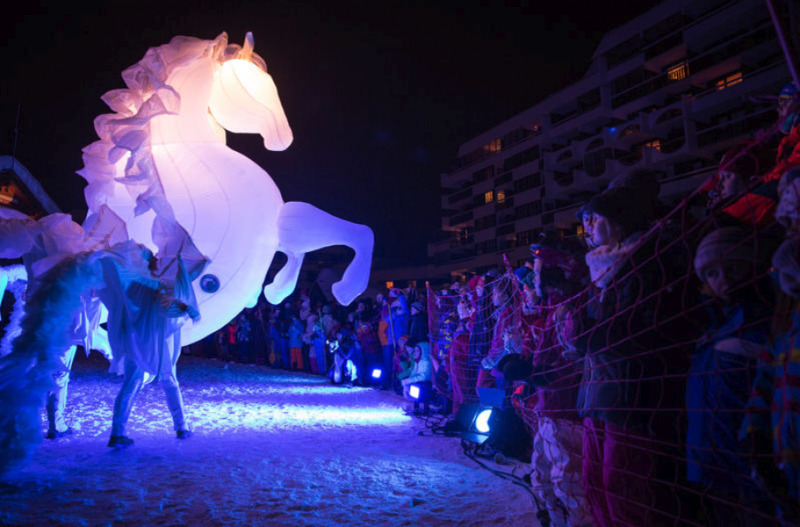 The tourism office team organise a lot of different animation for your pleasure ! 2 school ski are located in Puy Saint Vincent. You also have a swiming pool, a cinema. The closest Airport is turin or marseille, you then can take a shuttle to arrive in Puy Saint vincent.